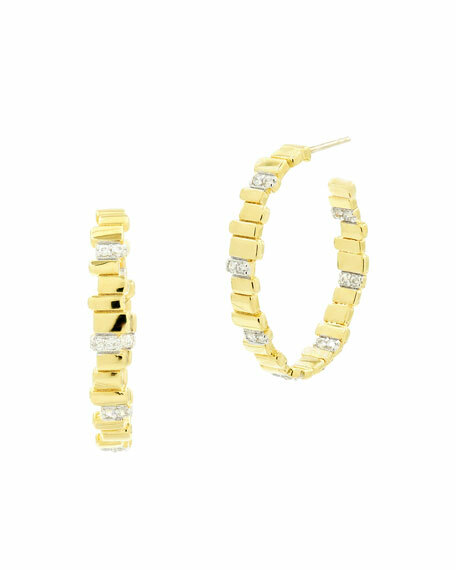 Radiance hoop earrings by Freida Rothman. Clear hand-cut cubic zirconia stone stations. For in-store inquiries, use sku #2532237.